All-Star Game 2016 All back to Moscow! As part of the countdown to the Week of Hockey Stars in Astana, we at khl.ru are taking a nostalgic look back at the nine previous All-Star Games. Yesterday, we re-visited the 2015 event held amid the swaying palms, sea air, and Olympic memories of Sochi, so today we look back on the eighth All-Star Game, hosted, once again, by the “Third Rome” - the Russian capital, Moscow. At least, the host city for the 2016 All-Star Game needed no introduction: the big festival of hockey was staged in the Russian capital, whose elegant Red Square was the venue for the first event in 2009. As might be expected, the Leaue carefully sought a new and exciting host city, and the shortlist included some very exotic names - Milan, Zurich, Shanghai – but for a number of practical reasons, each was eliminated, leaving Moscow as the strongest candidate. The venue was not the same, however. 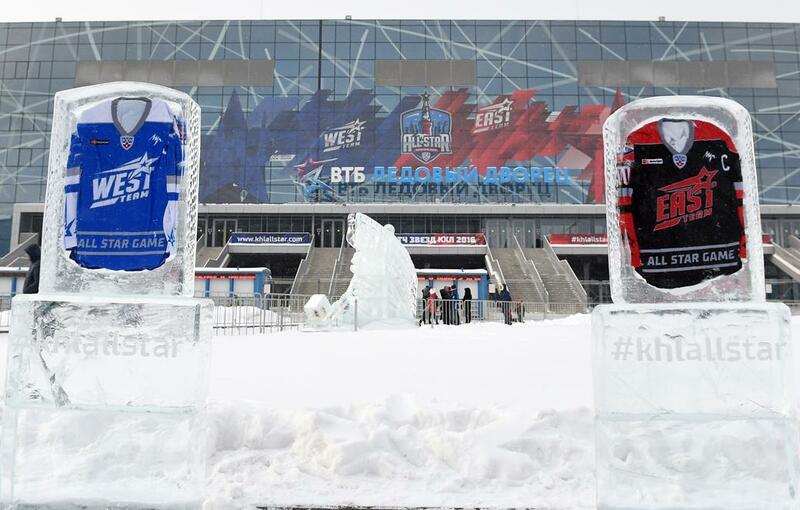 Instead of a couple of thousand fans freezing on temporary stands in the open air, while the players struggle to cope with a disintegrating surface in Red Square, the game was staged in the brand-new VTB Ice Palace, home to Dynamo and soon to host the final of the IIHF 2016 World Championships. 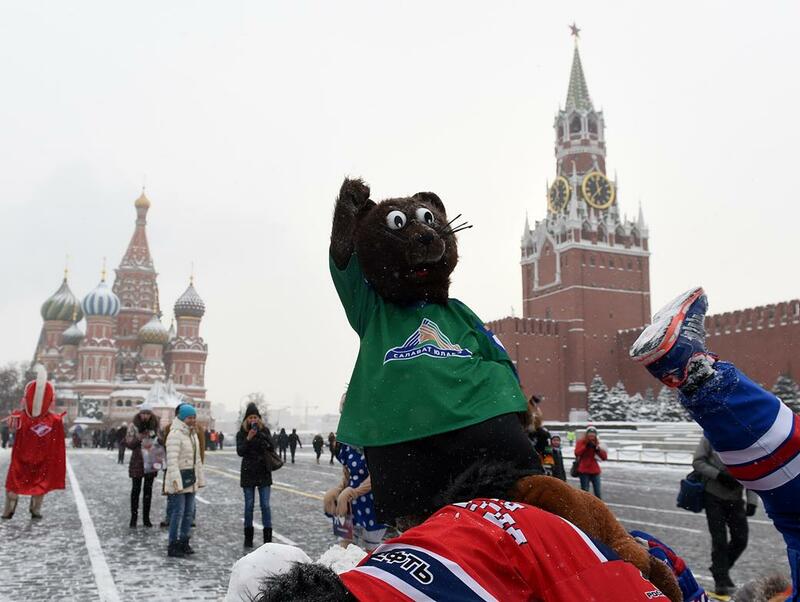 Moscow's beautiful and historical center was not neglected, however, and the KHL club mascots stopped at Red Square for a good, hockey style battle during a promotional tour of the city, to the surprise of many a passing tourist. For Team West coach Alexei Kudashov, it was a second Moscow All-Star Game, as he had taken part in the 2009 event as a player, and even though only six years had passed since the Red Square event, only three of the players who competed under the Kremlin stars were in the rosters for the 2016 game: Kevin Dallman, Alexander Radulov and Sergei Mozyakin. The Magnitogorsk captain, who had been plying his trade at Atlant Moscow Region six years ago, had not missed a single All-Star Game in the intervening years, a record he then shared with Radulov, but for the latter, the All-Star Game at Moscow's Park of Legends was to be his last. "I am too unwell to take part in the All-Star Game. It's always a shame to miss such an interesting event, where there is the chance to play hockey purely for fun and where the emotions are only ever positive. I wish the stars of Team West good luck and victory in the game itself and in all the Master Show contests,” – lamented Kovalchuk. His replacement in Team West was Stephane Da Costa, who thus became the first Frenchman to appear in an All-Star Game, and the CSKA (and former Ottawa Senators) forward made his mark with 4 goals. In the Shootout contest, in which the masters of offense do not always have to score, but must try to do so with creativity and style, many players surpassed all expectations. 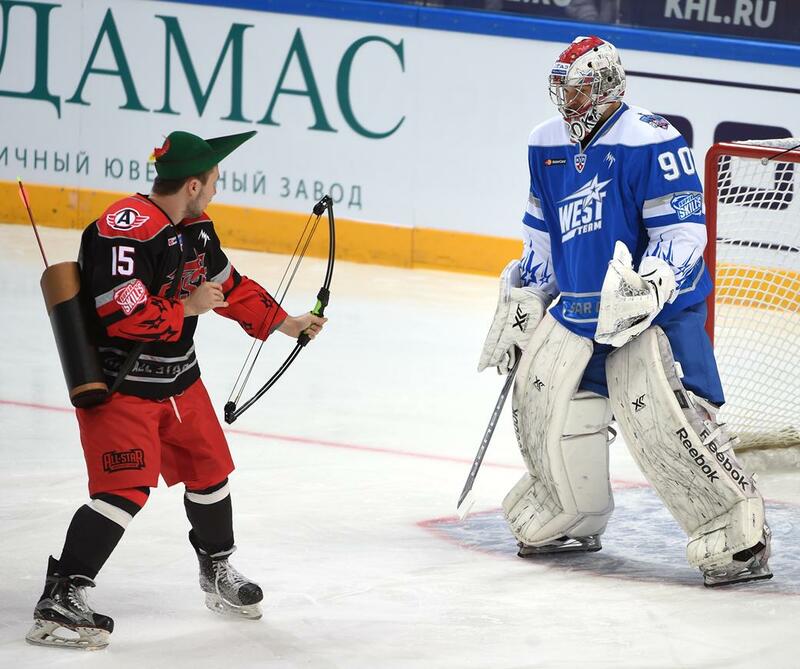 Full marks for originality to Avangard’s Vladimir Sobotka for using a lacrosse racket, and there were entertaining impressions from Avtomobilist’s Anatoly Golyshev (Robin Hood) and Lokomotiv’s Daniil Apalkov (Leonardo Di Caprio), but first place had to go to Salavat Yulaev’s Linus Omark. 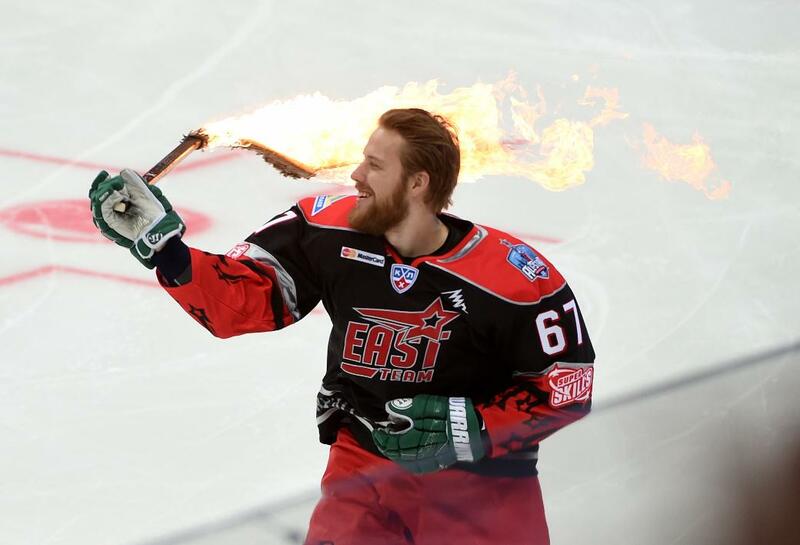 Fans may have remembered the Swedish forward marking his arrival in Russia by posing with a burning hockey stick in a photo session for the KHL, and six-and-a-half years later, at the VTB Ice Palace, he astounded the assembled spectators by setting his stick ablaze for his shootout attempt. The unconventional antics in the Master Show continued in the All-Star Game. Team East coaches Andrei Skabelka and Ilya Vorobyov, discussing how the excitement in a hockey game rises when the goalie is pulled for a sixth skater, decided to adjust the formula – they hooked the referees, and on came a sixth skater, then a seventh, and even an eighth. In response, Team West decided to give the overworked netminder a rest, and so between the pipes went … Alexander Radulov, and just as the opposition had been awarded a penalty shot. The man to take it was, of course, the formidable Sergei Mozyakin, the scourge of goaltenders and defensemen everywhere. 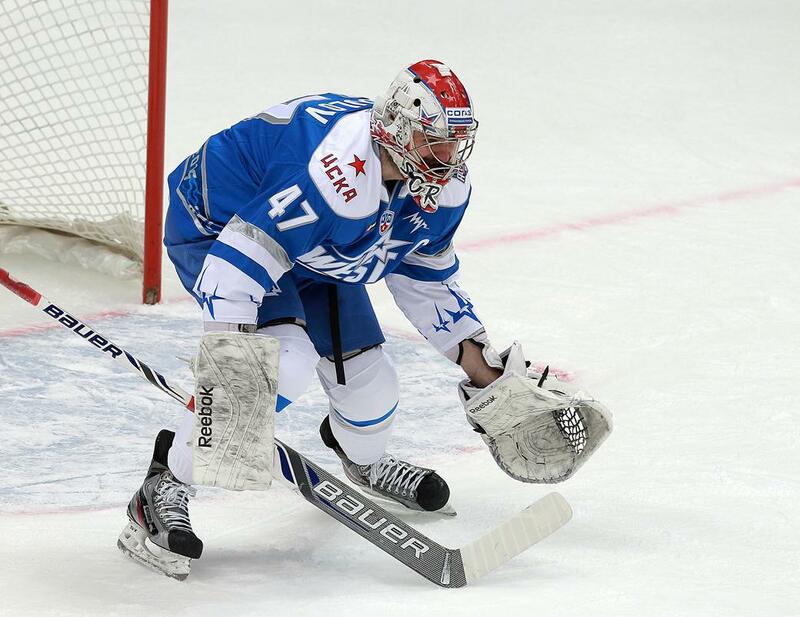 However, Radulov was neither, and he saved Mozyakin's effort. In the end, more than 50 goals were scored in the game, which finished in a 28-23 victory for Team West. In fact, so many goals rained down that the 4 scored by Stephane Da Costa gets lost among all the other stunning stats: Matt Ellison, for example, scored 7 goals and Kirill Kaprizov recorded 8 points. Many remarked that the flip side of such high-scoring games is that the drama of each goal is diluted. It was time for major changes, and within a year, the biggest show of the hockey season was played to an entirely different format. But that's another story.